E367 (E367u-8) Telenor modem is very famous in Sweden. Telenor is not only available in Sweden, but it gives service in another countries too. Huawei E367 (E367u-8) Telenor dongle comes with un-customised firmware and can be unlocked via unlock code and unlocking software only. If you are an owner of E367 (E367u-8) Telenor Sweden modem then you can unlock it without flashing the modem. You have to only follow some instructions and unlock code according to the IMEI of your device. How to unlock Huawei E367 (E367u-8) Telenor Sweden Modem? 1. Just go the the end of the article and download the latest huawei mobile partner software. 3. 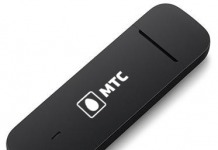 Connect the Huawei E367 (E367u-8) Telenor modem to your PC. 5. Just close the default dashboard of your Telenor E367 (E367u-8) and run the downloaded dashboard / connection manager. 6. Now after running the downloaded dashboard it will prompt for simlock code. Now your Telenor Huawei E367u-8 is unlocked forever. 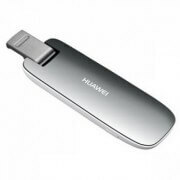 Previous articleHow to Unlock (K3806) Vodafone Huawey Italy Modem? Next articleHow to Unlock E5830 EE UK Huawei WiFi Modem Router?